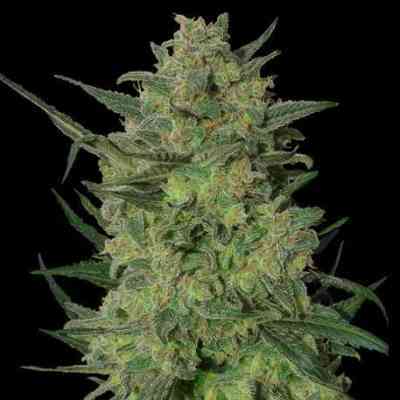 The White Strawberry Skunk cannabis seeds produce one of the fruitiest strains of cannabis ever to be bred. The heritage from a famous Swiss strain called Erdbeer guarantees the typical strawberry aroma, while the resin formation is so dense it reminds of the famous White Widow. From White Strawberry Skunk marijuana seeds you obtain medium to tall plants, with medium size internodes, and long branches. The plant likes a moderate feeding regime, and it is ready in 8-9 weeks of flowering. Buds are large, irregular in shape and covered in thick resin. The aroma translate very well after combustion, producing a full strawberry flavor and a skunky aftertaste. Medicinally useful as an antidepressant, it produces a complex high that creeps slowly but stays long. â€¨It is a mild but pleasant body-effect and a stronger social cerebral high.